So You Filed for Divorce, Now What? 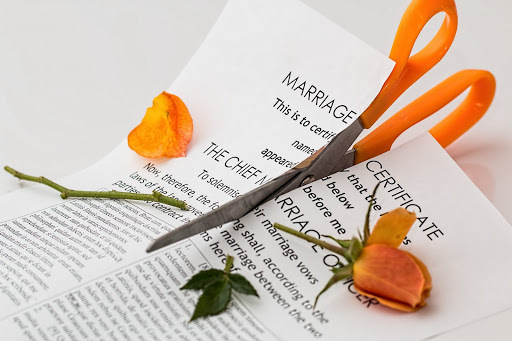 When a spouse files for a divorce, he/she is essentially suing the other spouse for the divorce, in addition to certain assets and specific custody arrangements. When filing for a divorce, the initial paperwork is referred to as the “complaint” or the “petition.” The next move in this process is completely up to the other spouse, but obtaining a divorce lawyer, regardless if you were the one to file for divorce or not, is a wise idea. In West Virginia, the person who is filing for divorce has to serve their spouse a petition. This means that the other person has to receive the petition in some manner and be verified by the court. Each state has certain, set rules regarding what equates to proper service. Once the petition is received by the other spouse, that individual has a short period of time to file their response, or “answer.” In West Virginia, the time limit is usually 20 days. The answer that is provided gives the position on the information that was included in the petition. In this answer, the spouse who received the petition should address each demand, either rejecting or accepting each and then issue their counter-demands. Most of this is done can be done with the help of a divorce lawyer. The person who received the petition may also opt to do nothing. If the deadline elapses and there’s no answer filed, then the court will make the assumption that the person agrees to the terms outlined by the petition and a default judgment may be issued in favor of the person filing for divorce. Essentially, this means the person would get everything that they requested. During this process, both individuals will exchange important information that is relevant to the divorce that has been filed. The divorce lawyers for each spouse will conduct their own investigations to see if there is something about the other spouse that needs to be brought to light. At this point, each person should expect that everything is going to come out. If someone is hiding money, or they have acted in an unlawful manner, then this could be discovered and used as leverage in the divorce agreement. After the investigations are complete, the negotiations will begin. This is when the spouses and their attorneys try to work out some type of agreement on the issues present. If an agreement is reached, the divorce can be finalized. Remember, if no agreement can be reached in the negotiation process, then it may go to court for a judge to decide on the other terms. The fact is, there is no part of a divorce that is easy, even if it is completely uncontested. This is why it is so important to have the services of an attorney to help with the process and each step of divorce. If you are thinking of going through a divorce or are currently in the process of one, contact the West Virginia divorce attorneys at Pritt & Pritt Law.